Well hello fellow Lauren Loves Good Food readers! I’ll introduce myself again since I believe Lauren has got a few more readers since the last time I guest posted. 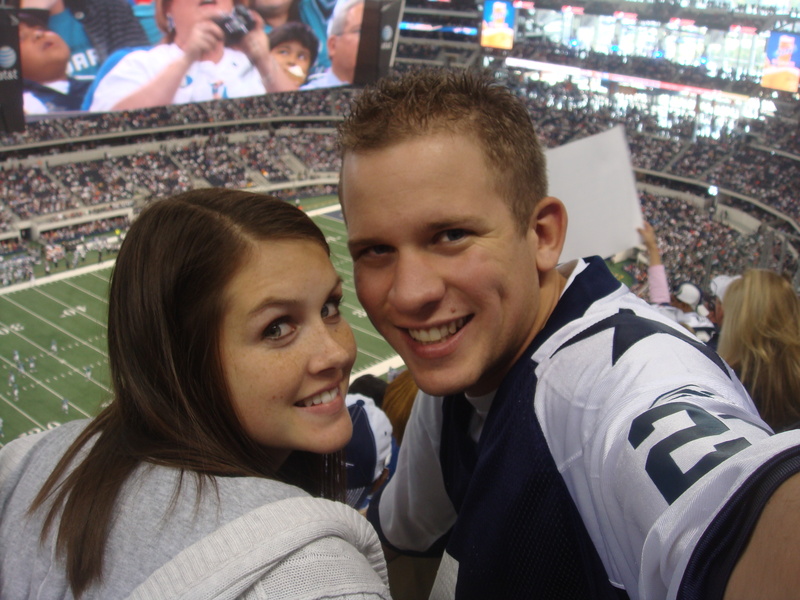 I’m Joey (the one on the right) So….I’ve been SUPER bored since my best friend and gf (the one on the left) has been gone. I have spent my time watching movies (5 movies to be exact), Season 4 of the Keifer Sutherland’s show 24 and doing a double-sided puzzle (yes, I said double-sided), so far it’s been tough. 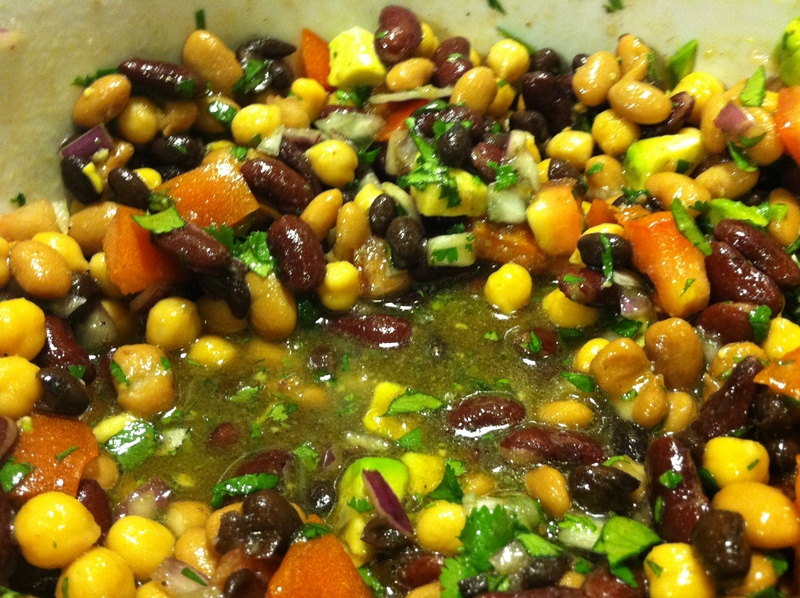 (Black) Bean Dip, I got this recipe from a friend of my grandma’s. All you do is add all of this together. I changed alot from the original recipe and it tasted exactly the same as the first time I had it. You can use any of your favorite beans and I know it’ll be delicious! One recommendation I have is after you left the marinade sit for a while you should drain at least half of it because everything will get oily. Now on to the dinner part. 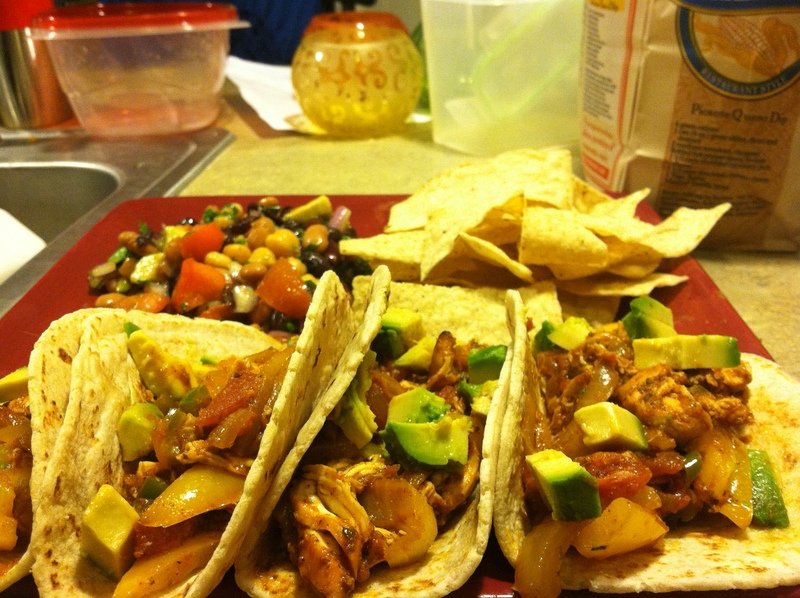 I figured it was only right to cook tacos a couple of days after Lauren was ragging on them, and oh man they were good! Marinate for a couple of hours and then throw them on the grill for 5-8 min on each side while brushing the leftover marinade when you flip the chicken over. I shredded the Chicken after it was cooked through and added it to the fillings…saute the sliced onions, then add cumin, pepper & jalapeno after the pepper has become soft add in the salsa and chicken till warm. 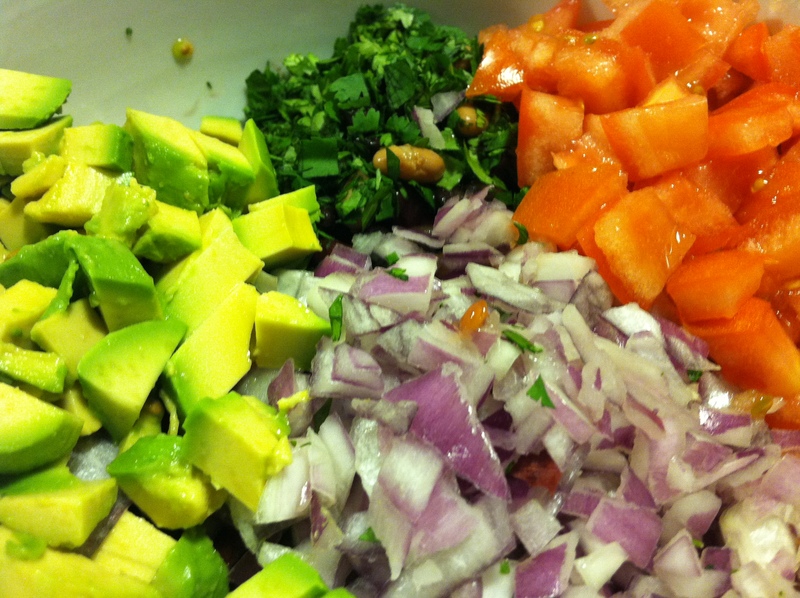 Fill the tacos and top with some avocado! I had so much fun putting this recipe together. I hope you all had fun reading my post today! P.S. 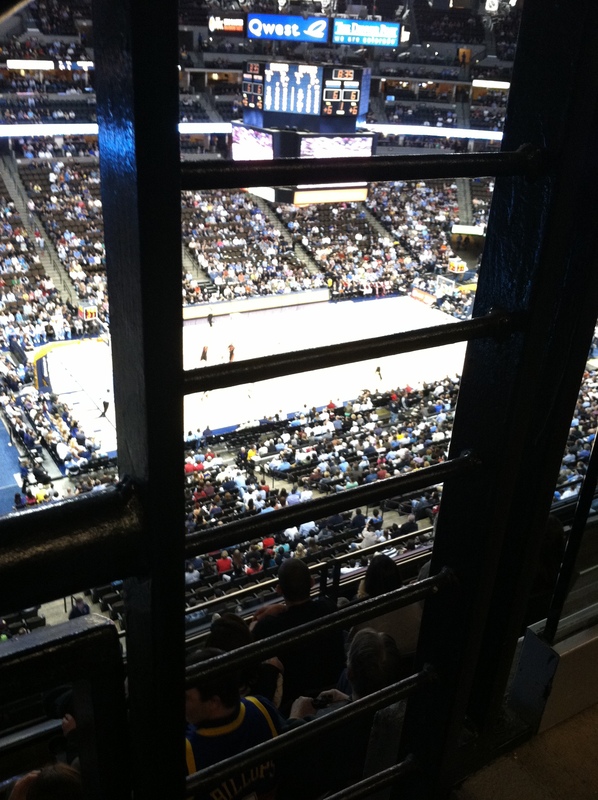 I went to the Nuggets game Monday night and this was my view of the game…. Anything Mexi is a WIN in my book! Yeah, people get me and Joey confused all the time. It’s that pokey hair we both have.